NOTHING EMBODIES THE EVER-ESCALATING TENSION between the All India Football Federation and the top division clubs of India like the ongoing feud between AIFF officials and Ranjit Bajaj, the owner of Minerva Punjab FC. 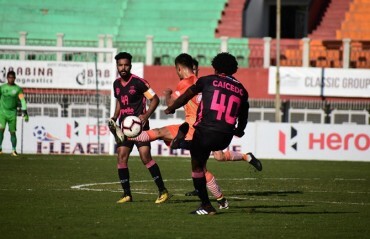 The Chandigarh-based club which became Champions of India by winning the top flight I-League in 2017-18 is known not only for its dominance in the national level tournaments across all age groups. More often than not, the club has been in headlines because of its outspoken owner Ranjit Bajaj who has been involved in numerous controversial incidents and disputes that have led to a hot exchange of words, accusations and counter accusations, multiple lawsuits, suspensions and lawsuits about suspensions. Bajaj, an outspoken critic of the restructuring of league football proposed by AIFF and their commercial partners FSDL that would force most of the current top division clubs to be relegated to second tier, is a central figure of the club alliance that's fighting this unilateral move. As part of that, no less than seven top division clubs boycotted the ongoing Super Cup tournament, making it the most boycotted national level competition in the history of Indian football. 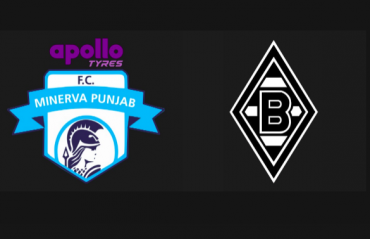 The stakes in this fight are very real for these clubs; many of them including Minerva Punjab feared they would have to shut down if they are forced to play in the lower league where they would get no TV coverage, no sponsors and no chance to win their way to the top division thanks to Indian Super League, a pay-to-pay tournament, being made the new top league. But while much of that battle is still to play out, Bajaj's club Minerva Punjab were dealt a major blow today, one that immediately led to Bajaj announcing its death. The news came out of the blue and shocked the Indian football fans. Because it comes in the middle of Minerva Punjab's maiden campaign in the continental tournament AFC Cup. 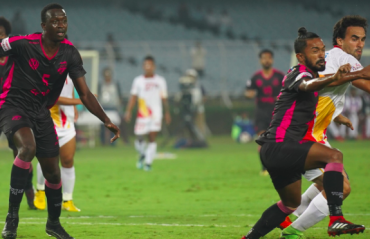 In fact they started their group stage campaign quite well, holding ISL 2017-18 winner Chennaiyin FC to a goalless draw away from home on Wednesday evening. 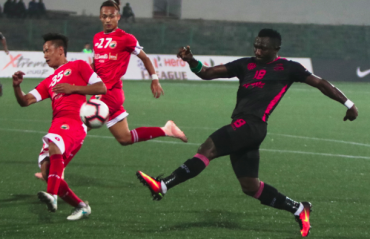 Minerva Punjab are hot in the middle of the biggest games, with the highest level of international exposure, that they have ever had in the club's history. No club in their right mind talks about shutting down at a moment like this. So why did Bajaj do exactly that? 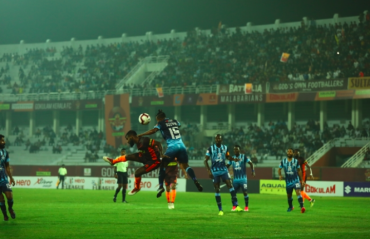 Turns out, the Kalinga Stadium of Bhubaneswar, where Minerva Punjab are slated to play their home matches during the AFC Cup 2019 group stage, has suddenly, with no notice whatsoever, cancelled their booking. The reason given by Odisha Football Association behind this action is - India are going to host the U-17 Women's World Cup next year, and Kalinga Stadium is going to be one of the venues during that gala tournament. And for that they need to carry out renovations at the stadium. Hence, they need to cancel all matches after the Super Cup final on 13th April. But there's something fishy about this response. While it's perfectly normal for Odisha FA to seek to develop the stadium for the U-17 Women's World Cup, it's extremely rare for a state association to dishonour existing commitments to do that. In fact, it never happens. Stadiums have shut down for renovation before but not after committing to host matches; a recent example would be of the Jawaharlal Nehru Stadium in Kochi, which delayed renovations necessary for hosting the U-17 World Cup 2017 because it had committed to host Kerala Blasters matches. 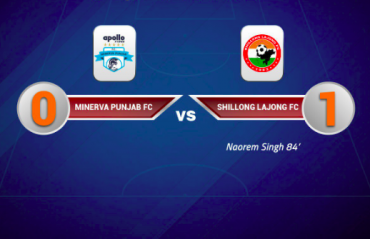 Minerva Punjab are expected to play 3 matches at the Kalinga Stadium: on 1st May against Manang Marshyangdi Club (Nepal), on 19th June against Chennaiyin FC and on 26th June against Dhaka Abahani (Bangladesh). 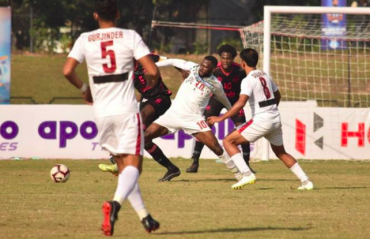 It can't be that hard for the Odisha Football Association to delay the start of renovations until after 1st May, and structure it in a way that allows two matches to be hosted in June within one short week. This is the first time the Kalinga Stadium is hosting an international club tournament. For any venue, it's a matter of prestiege to host AFC Cup. 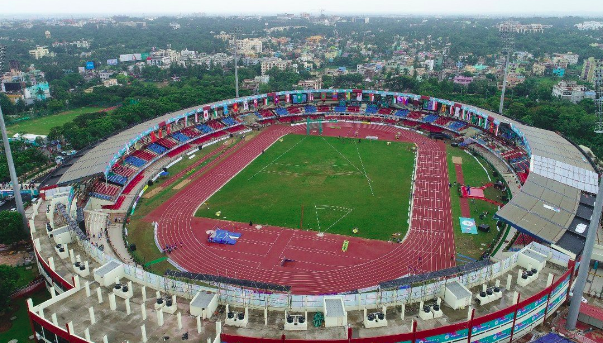 And the Odisha government, especially the Kalinga Stadium, has recently come under a bright spotlight and earned nationwide praise for hosting multiple football events - home matches of Indian Arrows, the Super Cup, the Hero Gold Cup and so on. In fact, Odisha has earned a reputation as a sports hub, and for their willingness to welcome sports of all kinds. Why would they risk denting that reputation by kicking out the second biggest football tournament in Asia? And why would they risk AFC and FIFA seeing them as a venue that can't be trusted, as a host that can go back on their word on short notice? 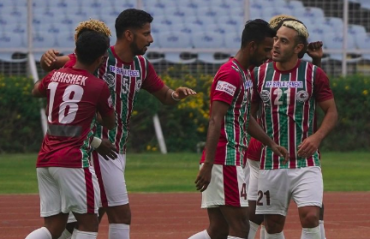 Ranjit Bajaj, in his usual unrestrained fashion, has claimed that this is a conspiracy by AIFF and FSDL against his club; words that can only further escalate the tension between him and the Federation. An AIFF source immediately denied that there is any conspiracy against Minerva Punjab. 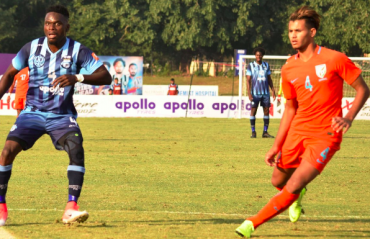 But one thing that is obvious is that the current situation has put Minerva Punjab, which in recent years is the most successful football club across all age groups in Indian football, on its last legs. Now comes the question - are they really shutting down? Well, not right now. Club sources confirmed to Minerva Punjab that the squad is training, and they will fly to Dhaka to face Abahani Limited, the champions of Bangladesh Premier League 2017-18. But what happens after that? Can they change the venue? Is there any way they can save the ongoing campaign? Speaking to some people close to the situation, TFG pieced together the story, and the situations it can lead to. It goes something like this. It's not advisable to change the venue during AFC Cup at all. The venues are registered before the group stage begins, and the process of changing venues can be a nightmare of paperwork and bureauocracy. Because it involves the continental body (AFC), the national body (AIFF), the host state association plus the national body of the travelling club as well the club management itself. International flights, hotel bookings and other arrangements for the travelling team, referees, match administrators, broadcast crew etc also has to be changed, which leads to a huge loss of money; and the home club can face a huge fine for causing such inconvenience to everyone involved. With a 60 crore lawsuit pending against Ranjit Bajaj, and a hefty fine about to be imposed by AIFF for pulling out of Super Cup, this may be more punishment than Minerva Punjab can handle. So, can Minerva Punjab switch back to TransStadia, despite the expensive consequences of that move? Well, they could. But Minerva Punjab and Chennaiyin FC have home matches scheduled on 30th April and 1st May. 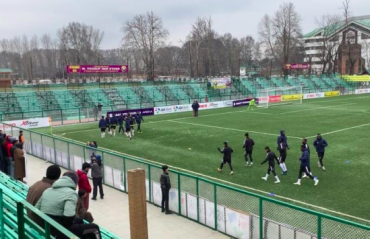 Having two AFC Cup matches on back to back days in one stadium is a logistical nightmare, with four clubs camping in one venue, and their practice sessions clashing with matches. So, TransStadia is more or less out of the question. There are other stadiums in India that can host Minerva Punjab's matches in AFC Cup. The Kanteerava Stadium in Bengaluru, plus all the stadiums that hosted FIFA U-17 World Cup (Kochi, Kolkata, Delhi, Guwahati, Mumbai, Goa) are certified venues that can host an AFC Cup match. But for that an emergency inspection team will have to be arranged to make sure everything is up to the mark. More logistical and paperwork issue, but nothing impossible. But one thing might still work against Minerva Punjab - what if, like Odisha FA, the other state associations ask for a letter from AIFF to let them book the arena? 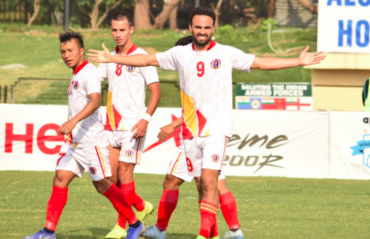 Given the way Ranjit Bajaj has gone scorched earth with AIFF recently, and if there's any truth to his claim that certain people in AIFF and FSDL are trying to put roadblocks in his way, then an AIFF letter of recommendation may not be forthcoming for MPFC. 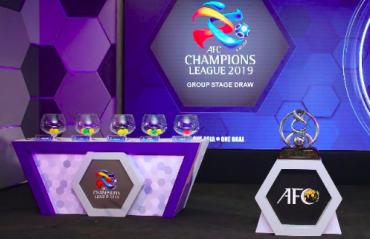 And even if somehow some other stadium agrees to host MPFC matches, there's still the prospect of incurring a hefty fine from Asian Football Confederation. So, what can happen now? 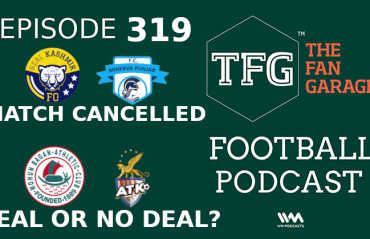 Can the day be saved in a way where AFC doesn't have to go through a logistical nightmare, and Minerva Punjab don't have to pay a huge fine for no fault of their own? 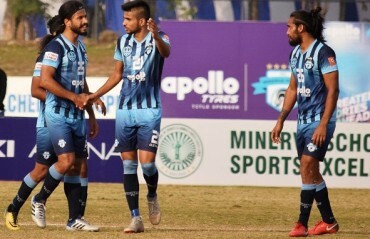 Is it possible to save Minerva Punjab from the danger of shutting down in the middle of its most important season ever, when they are making history as the first Punjabi club to play in Asia since JCT played in Asian Club Championship in 1997? 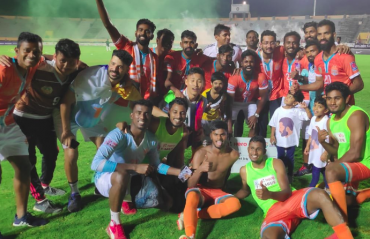 "If the Government of Odisha takes a stand and allows us to play our AFC Cup group stage matches at the Kalinga Stadium in Bhubaneswar, then the whole problem can go away. We want to play, man... the players have been looking forward to this opportunity all season! We want to prove ourselves in Asia. But fighting a new battle every day is becoming impossible for us. Only the Odisha state government can help us now." "Odisha has been doing such great work in sports recently! So many tournaments have taken place there, it's great for growing the sport not just locally but also around the country. We all look up to the way the Odisha government has been active in promoting sports. I hope the chief minister Mr Naveen Patnaik takes notice of this, and the state government allows us to play in Bhubaneswar as was agreed. I also hope the football fans in India help raise awareness about this issue online, it will tremendously help us out." By the looks of it, the potential financial strain of an AFC fine may force Minerva Punjab to run out of money and cease its operations. And they really need help to keep their AFC campaign afloat. It's not that solving this venue crisis will end all troubles for Ranjit Bajaj. 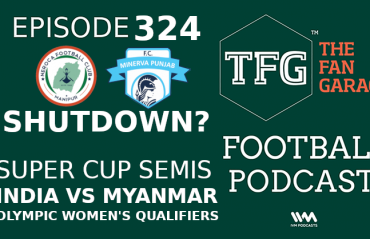 Minerva Punjab may still shut down after their AFC Cup campaign if AIFF relegate them to second tier. 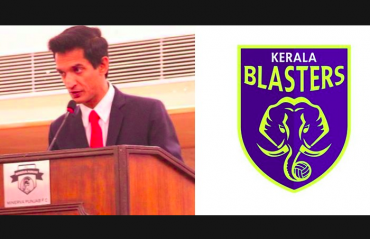 That lawsuit from Kerala Blasters is still pending, and multiple other legal fights with AIFF are still in court. But whether one agrees or disagrees with Bajaj, saving Minerva Punjab's AFC Cup campaign is an issue that transcends all such conflicts. MPFC are representing India in Asia. How they perform may have a significant effect on India's MA ranking in Asia. They already showed potential when they held Chennaiyin FC to a draw. They have what it takes to win a few matches and try to top the group and qualify for the knockout stage. But if they are forced to pull out of AFC Cup because of this venue crisis, all their matches will result in walkover victories for their opponents. That's points and prestiege lost not just for the club but all of Indian football. 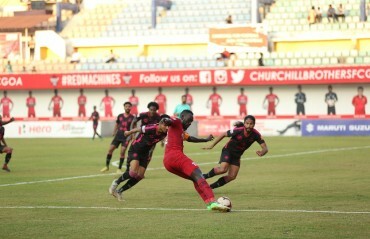 It may create a situation where for the first time in many years, no Indian club qualifies for the AFC Cup knockout stage. That will deal a big setback to India's dream of earning more spot in Asian competitions. We need every win we can get in Asia. So, it will serve the greater interest of Indian football if all the stakeholders in this situation put aside personal conflict and help Minerva Punjab keep going, at least for now. And once that little act of responsible big-heartedness is done with, everyone can go back to fighting about franchise fees and forceful relegation.